Last Sunday, on Corpus Christi, Bishop Steven Lopes based his homily around that famous quote of Flannery O’Connor’s. I wrote a story on the homily for Catholic papers, though I have not seen it published yet. In the meantime, anyone who would like to listen to it can do so at St. George’s website here. Let me begin by articulating something of a thesis statement. I would like to state at the outset that our Ordinariate liturgy is often misunderstood and therefore not described correctly. Extraordinary Form of the Roman Rite, it is thought to be a type of “subset” of that form: “the Extraordinary Form in English” as it is sometimes called. But this is neither accurate nor, honestly, helpful. For one thing, the 1549 Book of Common Prayer, a principal source for the Ordinariate Missal, is older than the Missal of Saint Pius V, and has its own origins in the Sarum Missal, a variant of the Roman Rite going back to the eleventh century. My first goal today is for you to understand Divine Worship on its own terms, to see the historical and ritual context out of which it develops, and in that light to recognize how it might contribute to the ongoing renewal and development of the Roman Rite. gestures. 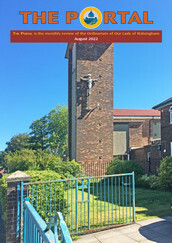 It is the organic expression of the Church’s own lex orandi as it was taken up and developed in an Anglican context over the course of nearly five-hundred years of ecclesial separation, and is now reintegrated into Catholic worship as the authoritative expression of a noble patrimony to be shared with the whole Church. As such, it is to be understood as a distinct form of the Roman Rite. Further, while Divine Worship preserves some external elements more often associated with the Extraordinary Form, its theological and rubrical context is clearly the Ordinary Form of the Roman Rite. That I situate Divine Worship within the context of the Ordinary Form becomes a fact more discernable when one considers the dual hermeneutic of continuity and reform, which informs the project. I have been musing for quite some time about how one would overcome the growing tendency to see the Holy Eucharist as a symbol of belonging, a token of inclusion rather than the Body, Blood, Soul and Divinity of Our Lord Jesus Christ. The other idea that has taken hold is that the Eucharist is “medicine for the journey,” an aid to the imperfect, and thus should be given even to those in objective states of mortal sin because gradualism and conscience and so on. So, I thought, hey, maybe the next pope could impose a Eucharistic moratorium, so that while people would still be required to go to Sunday Mass on pain of mortal sin, they would not come to expect to automatically receive. Only something as radical as that would break the token of belonging and inclusion idea, where everybody, no matter what their state in life and how unrepentant they are, expects to receive the Blessed Sacrament. Then maybe only those who had received a ticket indicating they had received absolution in Confession could go forward to the altar rail. And the tickets would change color and shape randomly so they could not be counterfeited easily. The Second Vatican Council spoke about a ‘universal call to holiness’, what we seem to have difficulty with is coping with the fact that not everyone wants ‘holiness’, or at least wants to delay it until the last moment, or simply feels they are incapable of it. Now I wonder if we have lost that flexibility. Ronald Knox’s remark about the possibility of leaving an umbrella safely in any church, of any denomination, except a Catholic church, because in a Catholic church it was bound to be stolen, because Catholic churches are full of sinners, once contained a lot of truth. I remember certain London churches and certain continental churches that seemed to be full of ladies of certain character and men of certain ‘exotic’ tendencies, all at the back or behind pillars or in side chapels praying with intensity, and slightly more reflectively ‘pray for us sinners, now and the hour of death’. The older idea, still prevalent in Orthodoxy and certain declining branches of Protestantism, and amongst more ultra Traditionalists, that people should receive Communion only rarely, and then only after confession and a period of intensified fasting and penance, was the norm up until Pius X. In pre-Reformation England the norm was for Communion once a year, following Lateran IV’s precept of reception at ‘Easter or there abouts’. The confession, penance, prayer and rigorous fasting of Lent was the period of preparation. Lateran IV was trying to correct the ‘abuse’ of people never receiving Holy Communion, or doings so only once in their lives. 27Therefore whosoever shall eat this bread, or drink the chalice of the Lord unworthily, shall be guilty of the body and of the blood of the Lord. 28But let a man prove himself: and so let him eat of that bread, and drink of the chalice. 29For he that eateth and drinketh unworthily, eateth and drinketh judgment to himself, not discerning the body of the Lord. 30Therefore are there many infirm and weak among you, and many sleep. 31But if we would judge ourselves, we should not be judged. 32But whilst we are judged, we are chastised by the Lord, that we be not condemned with this world. What does verse 30 actually mean? ‘Therefore are there many infirm and weak among you, and many sleep’, could it be that Paul equates infirmity and weakness -and many sleep, a euphemism for death- as being something we experiencing today, that somehow a unworthy reception of Communion leads not to physical illness and death but to a spiritual one, a complete loss of those who cannot live a holy life. I fear accommodating VII’s teaching of ‘universal holiness’, we either exclude sinners who are unable to live virtuously, which means excluding those in need of Christ or else we turn a blind eye to sin, pretending it doesn’t exist, which means excluding Christ, as some seemed to desire at the Synod. I have many friends in Communion and Liberation, a movement founded by Fr. Luigi Giussani. Every year in Ottawa, they organize a Way of the Cross on Good Friday, and for the past four years, I have been in the schola, and make the rehearsals part of my Lenten observances. A CL young peoples’ group uses our church basement for meetings. One of our young men is active in CL. I attend from time to time some of their social gatherings. Fr. Giusanni’s writings I find difficult to follow, and they don’t “speak to me” the way Cardinal Robert Sarah’s do, or Pope Benedict XVI. That said, I found it interesting to read this piece at Crux this morning—an interview with the leader of CL, Father Julian Carron. So, I read this article as I had my coffee this morning. Then I responded thus on Facebook. That was interesting. I still think, though, that this method of “encountering” people and not beating them over the head with doctrine is old. It’s still stuck in the 1970s in a way. On one hand, I agree in the power of the attraction of a Christian life, of Christ within us, of how we can be ambassadors of His love because He is in us. But, through hard experience, I have learned one needs sound doctrine to get to that place. [Of being able to attract with our Christian life] Otherwise, we risk making things up as we go along and our Christian witness will be wobbly at best. Credo ut intelligam. There’s been a huge, huge vacuum in terms of teaching Catholics what is is exactly the Church teaches and helping people conform their lives to it. Maybe at the initial stages of evangelization, you love people, you don’t insist on anything, you don’t expect them to pull themselves up by bootstraps they don’t even have, but at some point—-one has to be formed in the faith, or else it will become a shipwreck. I speak from experience. I kinda agree in this—that one does not try to reach post-modernists with rational arguments that might sway a modernist. But what’s missing from this is the notion of beauty in liturgy, in worship. Young people today are not attracted to the big mega church, pop music worship music that appealed to Baby Boomers. They find it off-putting. Yes, they are attracted to what’s real in relationships, in authenticity of Christian life, not finger-wagging moralism, but they are also attracted to what’s real in worship–what is awe-inspiring, beautiful, and mysterious. 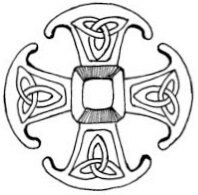 This is my first post here at the Anglicanorum Coetibus Society blog. Deborah kindly asked me to be a contributing writer here a while back. I accepted the offer with the proviso that I could not promise how often I would post. I currently serve as pastor of three parishes; an Ordinariate community in Republic, Missouri (St. George) and two diocesan parishes (St. Susanne in Mt. Vernon, and St. Patrick in Greenfield). Before my conversion I served as a priest in the Anglican Church in America. I have been married to my wife Catherine for 27 years, and we have five children. I write most often from my own experiences as a priest as well as a husband and dad. You can also read my thoughts at Beware Yon Dragons. I finished reading “The Benedict Option” recently. I have to confess I liked it (most of it). I also must confess that I do not think he is encouraging “retreatism” as many people have claimed (that is something of an exaggeration of what he is saying). Yet, the one point that I believe that Dreher makes perfectly clear is his assessment of the state of our society today. “Barbarism” is the word he uses. Whether we agree with Dreher or not (in any of his points) it would be a mistake to say that the concept of barbarism does not shed light on the current state of affairs for modern culture. It is not so much that there is more sin (though there may very well be), it is the fact that people show little to no recognition of guilt or sense of regret for sinful actions. I like to define barbarism by saying it is the philosophy that “doesn’t get morality”. Some barbarians may be fairly moral in some instances, but they do not understand the concept of morality itself, nor do they grasp the source of morality (i.e. the Divine Creator). Taking this as a starting point, while I was reading the book, I kept thinking of how this applies to the Church today (and most specifically to parishes in the Ordinariate of the Chair of St. Peter). Although there may be many areas of application, the one that repeatedly came to my thoughts was our commission to be evangelistic. We, as Ordinariate Catholics, are called to reach out to a society that “just doesn’t get it” when it comes to the basic concepts of right and wrong. What, therefore, is the manner that we are called to do this within the context of being Catholics with an Anglican patrimony? Although the question can be answered in numerous ways, the one that strikes me the most clearly is to teach them what the word “awesome” means. I switched from Presbyterian to Anglican some 16 years ago because I saw something in the forms of the Book of Common Prayer that filled me with a sense of “awe” towards God. I felt, back then, that I was seeing for the first time what the word “awesome” really meant. I was struck with the realization that I could not truly honor God with a trite or cheap presentation of something called “worship” (especially when we are not clear who is being honored by our “worship”), and that the “most High God” had to be honored with worship that could be called “most high”. To use a somewhat crude illustration: when barbarians of years past encountered more civilized societies they were often awestruck by some of the advancements of those other societies precisely because they had never encountered many of those things before. Today, the “barbarians” of modern society that we are seeking to convert have usually never encountered genuine “awe” before. Yes, they may have been shocked by something that is “really, really, really cool” on a 110 inch screen tv set (yes there is one that big! ), but that is not the same as genuine awe. The biggest thing that man can do to shock us, is still a far cry from what the Creator of the Universe can do. Therefore, we should be seeking to communicate not just the details of the gospel (which are absolutely essential), but also the sense of what it means for God to be “wholly other” and completely transcendent. Our society has a hard time thinking of God as anything more than a “really strong man upstairs”, and that is not the historic understanding of the Lord and God of all. Christians have talked about and over-emphasized a sense of God which encourages His nearness for so long, that it does not impress much of anyone any more. An overly personal, and “soft” view of God strikes little to no awe in people because there are so many things that are “personal and soft” that one more of these is boring. This brings me to a recent experience of mine. We had a visitor to St. George Church recently. I had never met him before, and only had a couple of minutes to speak to him after Mass before he left, but I did get some input from him. He had never before seen anything even remotely liturgical before that day (he was brought up in a protestant tradition that was about as anti-Catholic as they get), and after the Mass he said, “it was…it was…I don’t know the word for it, but I felt like I was visiting another planet”. I thought it would be overload for him if I had told him that the Mass is connecting to something much farther away than another planet. He never actually used the word “awesome” (possibly because it is overused today by people who do not really know what it means) but it was clear what he was referring to. Not just because of the words on his lips, but because of the look on his face, I could tell that he had been struck with a sense of genuine “awe”. He told me that he had never been baptized (his tradition believed that baptism was only for the early Church and was not necessary today), so I am not aware how much grace he genuinely experienced in the Mass, but he was obviously impacted. What adds to the weight of this story is the fact that St. George meets in a little chapel which is actually converted from a simple meeting room in a former retreat center (and it is only about 13 feet by 29 feet). It was not the surroundings that struck this gentleman; it was something clearly deeper. I would have to say that it was this very same sense of reverence before God that struck me so many times as an Anglican clergyman and made me want something deeper; something with the full weight of awe. The world we live in has fallen into starry-eyed adoration of various and sundry idols. Yet, none of those idols can create the awe that comes with falling down before the Creator in reverent worship. It makes me want to stand on the rooftops and cry out “you think that is amazing? wait till you see this!” and then begin the Mass. In my experience, that is the most valuable part of the Anglican patrimony: reverent worship. It is this reverence that impacts everything I do and say. It is this reverence that can convert souls and bring them to the feet of Christ. It is this reverence that we must show to a fallen (and falling) world.